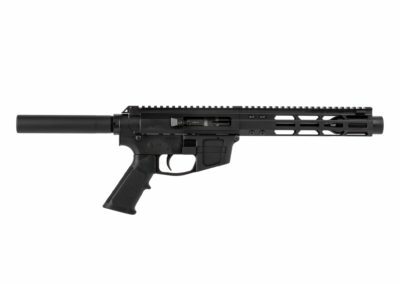 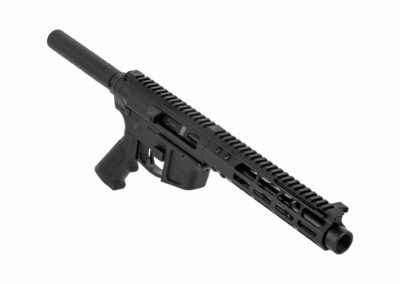 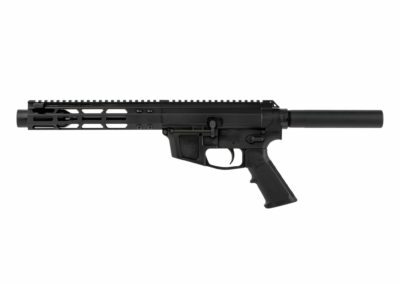 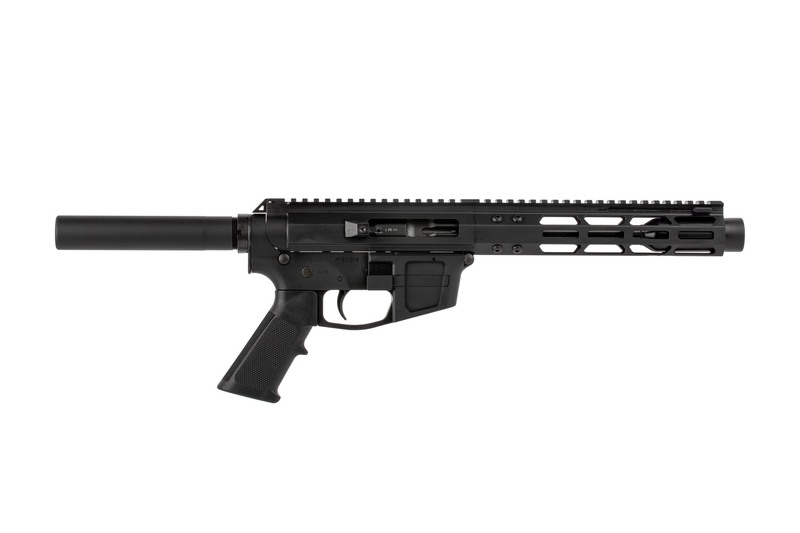 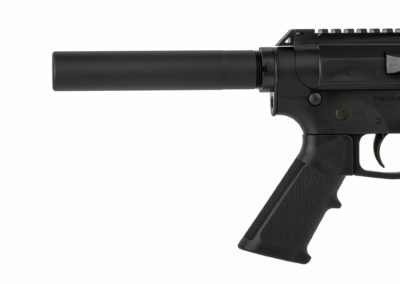 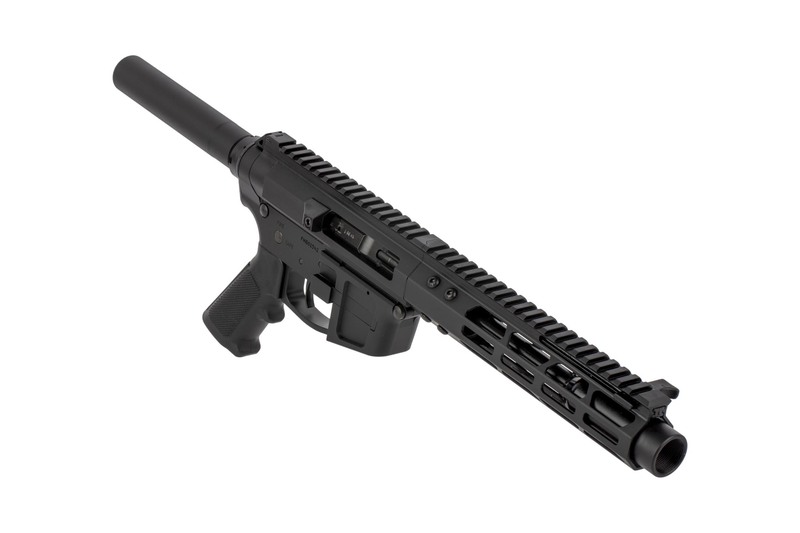 Built exclusively for Primary Arms (go to PA website), this Foxtrot Mike Products side charging 9mm AR pistol is packed full of features like a billet upper and lower receiver set compatible with Glock magazines and a blast diffuser that extends the 7” barrel past the M-LOK handguard. 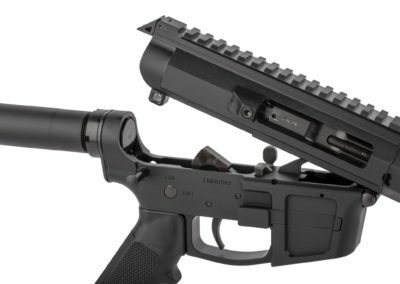 The para style charging handle allows you to stay on target during magazine changes and charge your pistol without removing it from your shoulder. 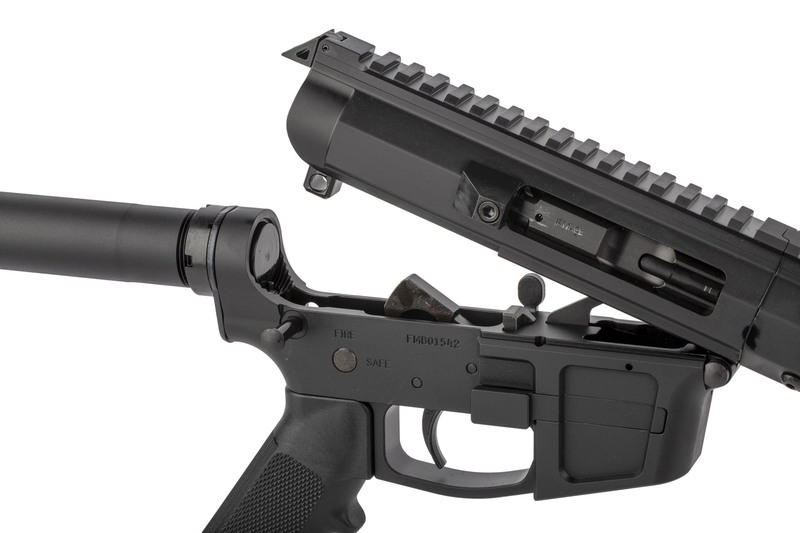 It is non-reciprocating, so you can keep your support arm fully extended on the rail without fear of causing a malfunction. Because of the simple blowback design, it is extremely rugged and reliable with full power ammunition. 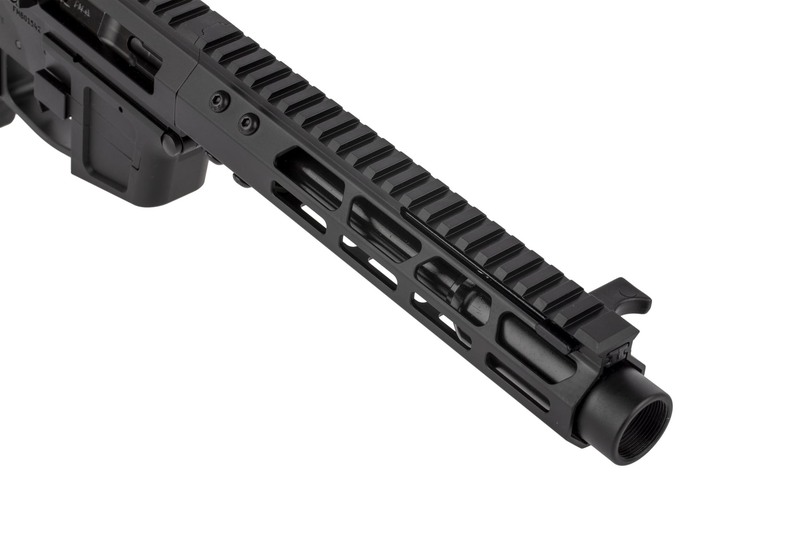 The Fm9 also features an M-LOK compatible free float handguard with picatinny top rail that is flush mounted to the flat top upper receiver. 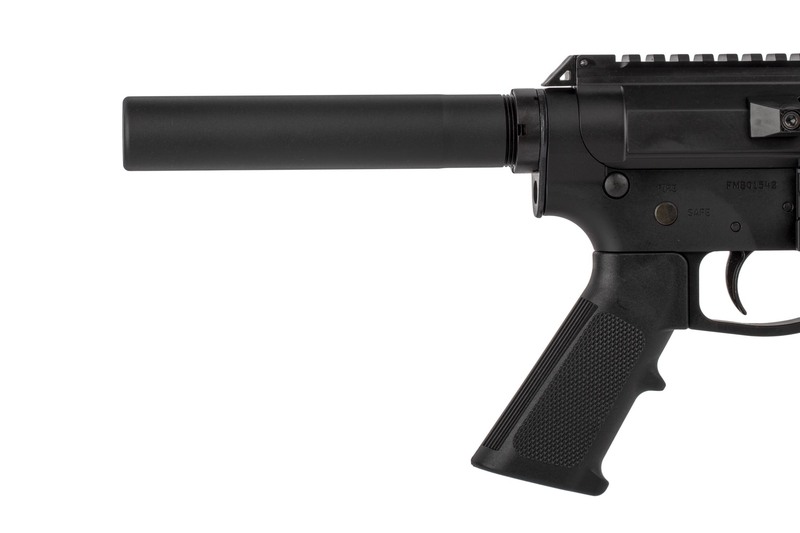 Housing the recoil buffer and spring is a smooth pistol length buffer tube. 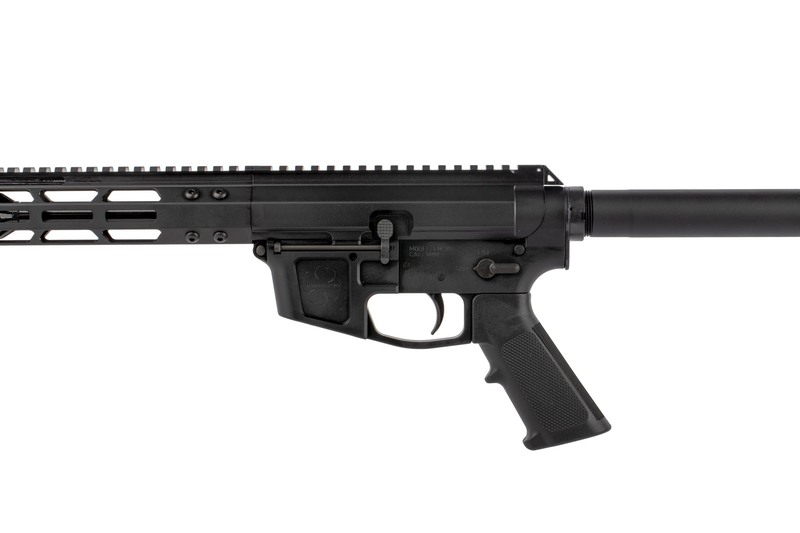 If you are looking for a Glock compatible 9mm AR-15 pistol.